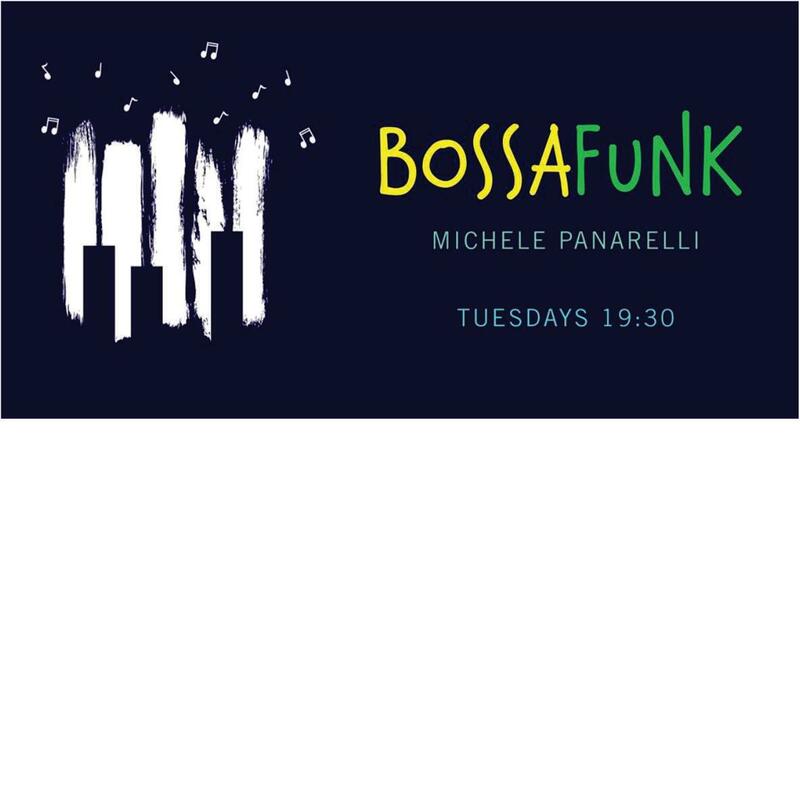 Swoon to beautiful film soundtracks by Italian and international greats played in bossa nova funk style by The BossaFunk. Headed up by musician Michele Panarelli—a graduate of the Conservatorio di Musica Niccolò Piccinni in Bari (Puglia), Italy and pianist since the age of four—the band includes French bassist Tuan Antoine and Indonesian drummer Warman Sanjaya. Some of the renowned venues he’s played at include Borgo Egnazia (Puglia), COCCARO BEACH CLUB(Puglia), Fitzcarraldo (Milan) nhow Milano, and collaborated with singers Will Diamond and Fablo Laurie in Paris, Pheel Balliana in NYC and a slew of other musicians in Berlin. Plus, it's an open jam session too for any and all musicians. So bring your instrument or voice and come jam with the band!